macOS Sierra has many new features and enhancements, some of which are significant and others that are more minor yet still nice to have. We’ve picked a handful of features new to macOS Sierra that you’re sure to enjoy and actually use, read on and check them out. Obviously you’ll need to have installed macOS Sierra to have access to these features. Siri is now on the Mac, which is perhaps the most obvious new feature in Sierra, and it’s pretty useful too! 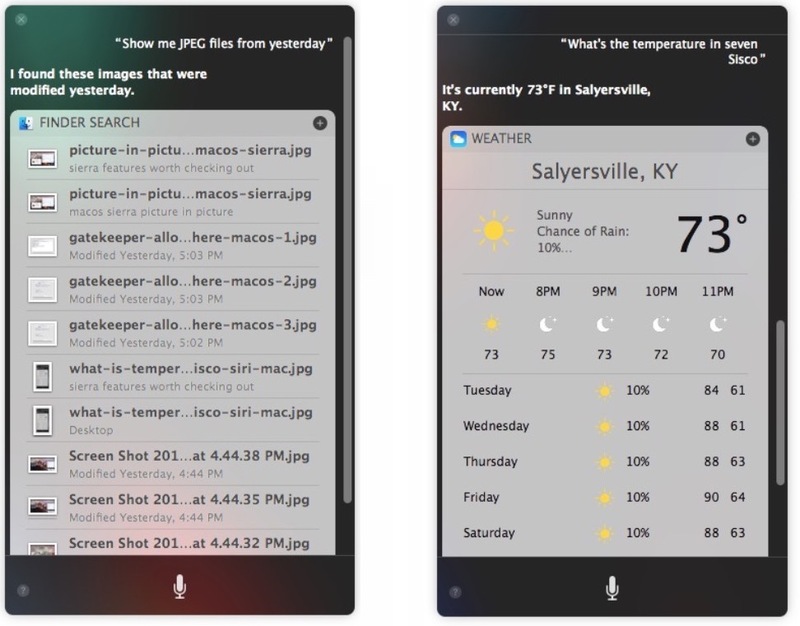 You can access Siri from the menu bar item by clicking the colorful icon in the corner in the top-right corner of the screen, or by clicking on the big Siri button in the Dock. You can ask Siri on the Mac to get the weather, who directed a movie, send a message, get playtimes for sports events, find recently worked on documents, and so much more. Most of the Siri commands work the same as what’s available on iPhone and iPad, so view this giant list of Siri commands to get some ideas if you’re new to the virtual assistant, and many of the type of queries you’d enter into Spotlight you can also ask of Siri. Picture in Picture mode allows you to have a floating video playing on the screen, offering a more minimalist viewing window for watching a web video or movie without having to have an entire Safari or Netflix window open. To access Picture in Picture (PIP) web video, simply right-click on a playing web video and choose “Enter Picture in Picture” (for YouTube, right-click twice) and the video will pop-up in a little PiP window that you can drag around on screen. This feature is also available on the iPad, and older versions of Mac OS can get Picture in Picture with an app called Helium. The new Mac-to-iOS and iOS-to-Mac clipboard is incredibly useful, it allows you to copy and paste between a Mac and an iPhone, or an iPhone and an iPad, and then back to a Mac, and any other combination you can imagine. The copying/pasting is done seamlessly through iCloud and works quite well, just copy on one location, paste in another, it just works. In order to use the cross Mac-to-iOS clipboard, you’ll need to be sure the devices you wish to use it with are using the same Apple ID with iCloud enabled, have Bluetooth enabled, have Handoff enabled, and they will need iOS 10 (or later) on the iPhone or iPad, and you’ll need macOS 10.12 (or later). Meeting those basic requirements is essential to use the great clipboard feature. MacOS now includes a feature which can help to discover where your disk space has vanished too. You’ll see how much space Applications, Documents, iTunes, Mail, Photos, Trash, other users, System, and other items found in the file system take up. 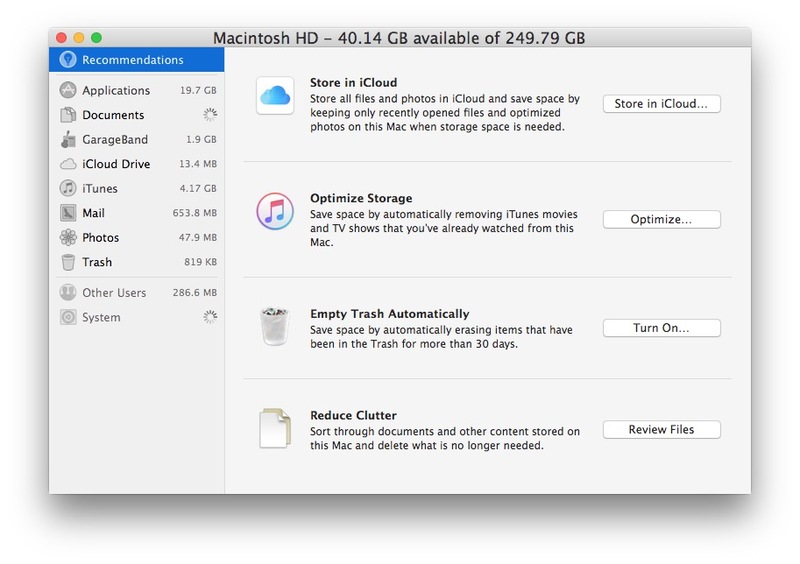 Go to the  Apple menu and choose “About This Mac” and then visit the “Storage” tab. Next to your primary Macintosh HD, you’ll see a “Manage” button, which is how you access the new storage optimization screen. You’ll also find options to store stuff in iCloud (highly recommend having a very fast and very stable internet connection if you use this feature), reduce clutter, empty trash automatically, and to optimize storage by ditching old iTunes crud. The Utility is kind of like a simpler version of OmniDiskSweeper or DaisyDisk, but it’s built into macOS and doesn’t require any downloads. 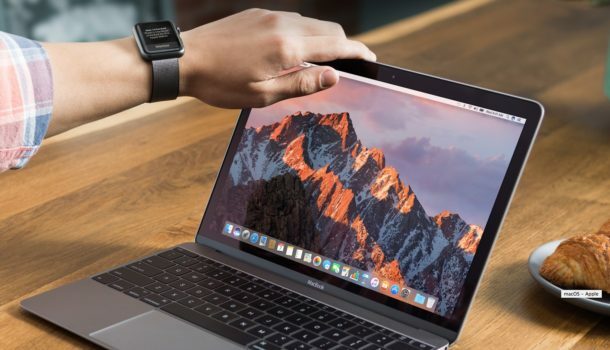 If you’re a Mac user who also has an Apple Watch, you can quickly log in to your Mac with your Apple Watch by doing nothing but wearing it and waking the Mac from sleep. You’ll need to have Apple ID two-factor authentication enabled to gain access to this feature, then just be sure it’s checked in the Security preference panel on the Mac. Have you ever wished you could have folders on the very top of a directory listing when using Finder List view? Finally you can, if you use the “name” sorting element anyway. This is a small feature but it’s surprisingly useful, and something that many of us have been wanting for ages. You can find this setting in the Finder > Finder menu > Preferences, it will be under the “Advanced” options. Your friend sends you a URL in iMessage without a description… do you click to find out what it is? Is it SFW or NSFW? Do you ignore it? Or do you ask for a clarification on what you’re about to dive into? This scenario happens often, but now with macOS Sierra the Messages app will attempt to render a little link preview for any URL pasted into and sent in Messages for Mac. Now you can wonder no more, with the URL message preview you’ll at least have some idea of what you’re about to click. Phew! This great little feature also exists in iOS 10. Do you have any favorite macOS Sierra features? Let us know in the comments. #6 is probably the only feature I’m actively using in Sierra, LOL. A friend was asking me what is new, and I said Siri, then the folders thing, clipboard, and kind of struggled to think of anything else. It’s a very minor update in terms of features. A big rule of thumb should be “don’t break anything” so hopefully it sticks to that, I use Mac to work. I guess I’ve been away from Windows long enough now that I’ve got used the macOS way of doing it and have started finding this to be one of those really annoying things that makes me dislike Windows when I use it again, along with being interrupted by new Windows popping up in my way, clicking on a background window and having the click register and do something unintended, constantly having to reboot for minor things like scratching my arse and Alt-Tab showing every freakin’ window I’ve got open. 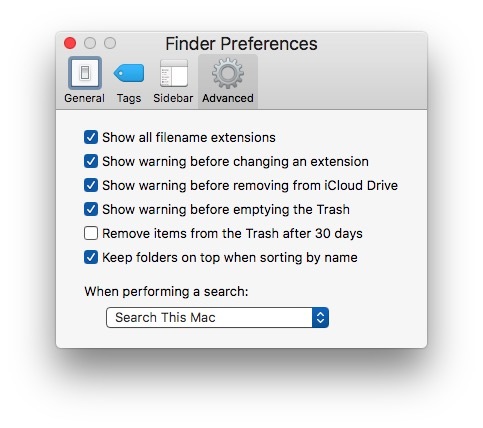 Folders and and Files next to each other (default macOS behaviour) can save you so much scrolling back and forth and confusion with folders that can contain a lot of items. It’s especially useful being able to see the folder containing an extracted zip file right alongside the zip file. It misses the only useful one – the tabs. Why anybody would use Siri on a desktop/laptop baffles me. It’s already ridiculous and useless on a phone, on a laptop it’s just wasted bytes. ……..in your limited and naive opinion………..
i DON’T want Siri to be listening to me 24 hours a day. do you realize your microphone must be on, in order to use it? do you realize the security implications? do you realize the privacy implications? do you realize you have been losing your constitutional rights, and Siri is helping? if you don’t care about any of these things, just admit it. get over yourself, get educated on security, and don’t be mean. You have to activate it on the Mac. It doesn’t listen until you do. I agree with Mmm and Anastasia, not too excited about the addition of Siri. Usually it takes more time to have her search or compose text, but it’s another step towards AI and total automation. And Art, David, maybe go easy on the rude vibe. Mmm and Anastasia didn’t deserve the bite of jaded jerky. Treat people the way you want to be treated is the better flavor. Ahem, my reply was to ‘David’. That is, I completely agree that Siri is a stupid, wasted nonsense. It’s great if you don’t have arms and hands, but otherwise only people with limited brain potential use it. I use Siri to make calls in my car, and also to open Maps to ‘take me home’. I must be brain dead. I should be fiddling with the screen while I’m driving instead like a real smart person would do. You have a Mac OS/X Desktop in your car! Cool! Dictating text messages and e:mails on an iPhone is far faster using SIRI than your fingers, as long as you speak standard American English and enunciate well. So far from being a wasted nonsense, it is an amazing way to save time and compose more complete messages. It is also useful for handsfree operations while driving, as above. Saying it is a stupid, wasted nonsense just is nonsense. Time will tell whether it is similarly as useful on a laptop or desktop computer. For the picture in picture video thing I used a great little app called magnet for this. Not sure I want to upgrade as I rarely use Siri on my phone and don’t use the cloud. Other than a few finder changes there doesn’t appear to be much to want to make me upgrade. It’s simple, just don’t use it. how do i turn it off, completely. what ports do i close? where are all the microphones? must i keep my laptop in another room, so it can’t hear me? maybe it will enjoy a nice conversation with my other open mic devices. Funny. It’s called 7 features you’ll actually use, yet there are more I won’t be using than will. Siri? Nope, personally don’t care to talk to my computer. More power to those who do. Cross iOS-to-Mac? Nope, no iOS devices. Unlock with iWatch? Nope, no iOS devices. 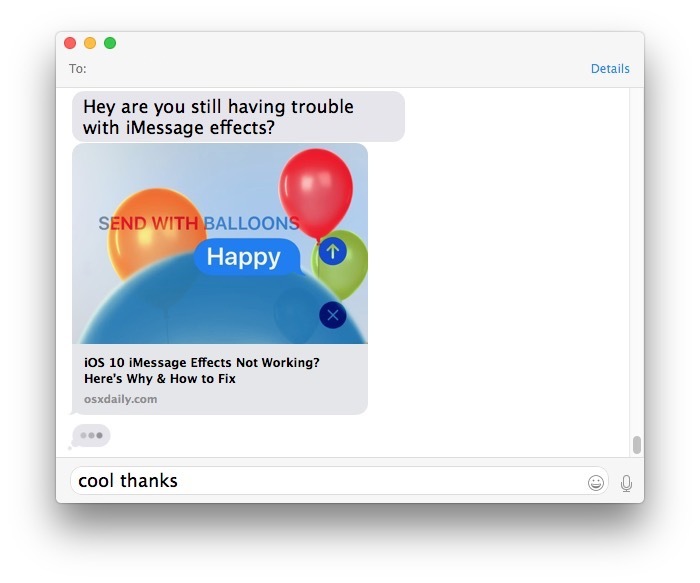 iMessage previews? Nope. Don’t know anyone who uses iMessages. Well Bob, if you won’t be using these features than you’ll have to really stretch to find some other features you will use in Sierra because it’s just not too different of a software release. There are said to be something like 60 changes in Sierra, but some are so subtle that they aren’t even worth a mention and nobody will notice. Apple has rendered my iPad and my iPad mini both obsolete. Neither one can download iOS 10. Do they still do useful things on whatever version of IOS you run? Just Say No to useless upgrade churn! I didn’t see any useful features there, either. (I’ve ranted about this elsewhere.) And I’m getting beach balls on my MacBook, so no upgrade for me, thanks. Siri is Apple’s version of Clippy. Well, majority of this features requied Icloud ! What if some people do not like, use, need Icloud ? they finally can’t ! I can’t find a thing about useful software or features that aren’t childish. What about email? Any difference/changes? I don’t have an apple watch and even if someone gave me one I’d pass it on – don’t care. Siri on my Mac pro? Seriously? I use my computer for working. 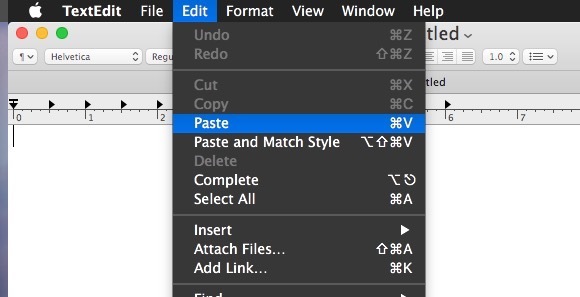 Still using PhotoShop 5 and Word 2011. I record audio books and do research on the Webernet. If I could change one thing about El Capitan or all the other iterations of OS X I’d have a really good email program. Wouldn’t it be nice to USB an iPhone to the Mac and simply move files back and forth? After all these years I’ve become a little jaded about the direction work computing is going – especially with the cloud. I agree about Mail. Every time there is a macOS upgrade 10 years + of hierarchical folders, saved on my iMac HD, in Mail, are lost and I have to manually reconstruct them from TM backups or use something like email alchemy (can’t remember the exact name at this moment in time). All I can say is that a full Time Machine backup along with cloning the HD (carbon Copy Cloner) are mandatory . I find the latter so useful as I can revert to the previous MacOS, when my printer drivers etc do not work. I use Gmail. ‘Nuff said. Sorry. Siri is Apple’s version of Clippy. I want sooooo much to upgrade to Sierra (or even El Capitan?) but I’m also soooo afraid that doing that will demand that I replace (as in “purchase”) new applications or new software that no longer runs with the new system. Everything I use (which is a fair amount) runs very smoothly now, and I’m afraid to upset the apple cart. AND I don’t know who or where to ask this question. So if anyone knows what might happen to my existing apps and software if I upgrade my system (as in, will I have to spend a lot of money to update them also? ), PLEASE let me know, or tell me how I can find the answer without writing every vendor that supplied my existing software. I’m on a very limited income (y’all know how that goes!) and I just don’t know whether to leave well enough alone or upgrade my system (which is of course what I want to do). Anyone??? Please let me know what y’all think. I appreciate it! Hi Elaine, if you’re on 10.8.5, then that’s OSX Mountain Lion. I’m also on Mountain Lion. I can a lost guarantee that if you upgrade to Sierra, probably most of the software you’re using (are we’re talking pirated software?) won’t work. It’s doubtful you’ll get messages asking you to buy new versions, they simply won’t work. The only other way you can have your cake and eat it, is to have a setup where you continue using OSX 10.8.5 but install Sierra on an external drive, preferably an SSD and run the new OS separately. At least this way you can see if you like the new OS. This is what I do, as I use a fair bit of (legit) music software that I simply don’t want to upgrade, and know that it won’t work on later versions of OSX, but also have the added benefit of keeping up with Apple’s OS’s. I completely second Jazzhustler. You will give yourself a big headache if you upgrade. If you have a system that runs fine, apps working fine, and you have a limited income, there’s absolutely no need to upgrade. If you just really want to try out Yosemite, El Crapitan, or this new pile of junk (Sierra), yes, find someone who can install the new system onto an external SSD and give it a test drive. Just don’t mess up your existing system. It’s really not worth it. Well, for starters expect your computer to freeze at some point and when you do hard reset and restart ,it will freeze and will not boot to the home screen. Then you will need to restore from your time machine back up on your external hard drive and if you are lucky you might be able to restore in probably 4 hours. And this saga repeats. Solution: Never shutdown your computer but always put it to sleep. This way no need to restart. Phew!!! My Macbookpro mid 2009 still works ver well with Mountain lion OS. Above is my personal experience after installing Yosemite. you can check your Software on the ‘RoaringApps’ Site for Compatibility (https://roaringapps.com/apps?platform=osx). The new features introduces in 10.9+ will make sense if you have several Apple Devices, if they are already running on newer OSs, and want to use iCloud Drive to exchange Docs f.e. If not, well, it’s a lot of changes and you probably have to update your Software and spent some time to get familiar with the new features. I don’t have an IOS device, and I don’t use cloud storage, which seems to be 90% of the new stuff. Think I’ll stick with Yosemite. For those of us who do have IOS devices, and do use iCloud, there are some definite benefits. P.S. Maybe you should consider commenting again when you come into the present century. some of us here are looking for comments from others that DON’T WANT OR USE these options. the thing about the 21st century, is that those of you that are ignorant of INFOSEC, don’t understand the underlying dangers. you got ADT or home security? a hacker can see your kids, what they do, and when. what if they’re naked? what if your intimate romps are posted on the internet? do you want the insurance company to see what’s in your refrigerator, what you’re cooking, how you’re cooking it? do you want every piece of your private life out there, for your children to see? YOU need to come into the 21st century, hun. Hey look! Apple added something useful! Sorting folders at the top. Once every ten years Apple adds a feature to the OS that’s actually useful and should’ve been there from the start. Imagine that! None of these features are useful. Try again. Steve Jobs was the brain power of Apple. ALL 7 features are idiotic stupid features which are the most useless. After switching to Mac in 2008, NOW I don’t see any exciting anything that comes out of Apple. All Apple does today is producing iPhones. Mac as desktop is basically hardly breathing. Good point Tom, thanks. For important folders I have used a visible character, $, to achieve the same effect but will switch to using a space instead. I find it strange that Apple, with all its innovation, has only just introduced such a simple feature that has been in Windoze for ages. For me, it was the tabs in Pages, and a tiny thing I really liked: macOS fi ds my network drives and auto atically connects me. I don’t have to do it manually. It’s handy if you have all your entertainment media on an external drive, like I do. I’ve notedthat it seems to also be pullg from the drive withoutas much stuttering as before. Am I the only one left who HATES it? I have given up on upgrades from Apple. I am sticking with 10.9! At least till I make the switch to a full VM based computer where I will do most of my work in linux. The UI, for anyone who grew up on the consistent USER centric interface of MacOS, has become cluggy and has forced changes to standards, many users, had been utilizing for decades; and while it is better in security then it’s predecessors (10.10 and 10.11) it is still so FUGLY I just can’t make the jump. I honestly believe that Apple stopped reading it’s own “User Interface Guidelines”. It definitely stopped listening to Apple Fellow Donald Norman (“The Design of Everyday things”) among others or thinking about it’s long time loyal users. I know I am old school, and things must change to get better but there was a time that Apple did things in evolutionary ways within an OS # and not destructive ones. That is unless they were doing something so radical (ie MacOS 9 to 10) where we were learning a whole new way of working. 10.10 – .11 were all bad in both background and worse in the foreground and while .12 fixes the back end issues it’s still SO bad to long time users, I tell clients unless they are taking advantage of cross over tools between ios and macos (or are already running 10.10,11) just don’t bother. You’ll be happier in the long run. I am sure I am going to get flamed now but I just done’t care. I bleed in 6 colors since 1977 (my first computer was a “1” my best friend at the time and I built) but now for the first time I am looking for a change. This is very sad for me. My only interest in upgrading to Sierra is I HATE El Crapitan because it broke so many things for me. When Apple promotes more iOS like features in the desktop OS like Siri and SIP nanny ware breaking everything else I don’t want it. Putting a keyboard on an iPad doesn’t make it a “computer”. It’s still a crippleware limited functionality tablet. Making a computer more like the tablets is the wrong way to go. Yawn… Not a lot going on here. Sticking with my current version. It’s just not worth the hassle. Operating systems pretty much do what they are going to do. Last interesting feature by Apple was the full screen button. I am not really impressed with Sierra, you could say I am the opposite even. I would downgrade but it is a big hassle. I’ve had a lot of problems with macOS Sierra on a 2015 MacBook Pro. I would recommend avoiding until 10.12.1 if you don’t want the risk of having to troubleshoot your Mac for hours a day. I get a lot of crashes, apps won’t work, weird behavior, it feels like an early beta to me but this is the “final” version. I don’t see any big advantage features that are necessary either, but I mainly work and not perform talking gimmickry to my computer. I think if you want to talk to your computer, maybe it is nice? If you don’t mind the bugs. #6 is the only essential OS X feature that I was missing. – Permanently delete files with ⌥+⌘+⌫ – exceptionally useful for external drives. I agree it’d be nice to have an Unlock with iPhone option using the Touch ID on iPhone to unlock a Mac. That’d make a lot of sense, but they want to sell the Watch, the iPhone has already sold like crazy. It’d also be nice if they ever update their Mac hardware! I think the feature of logging in with the Apple Watch is very cool. However, I was told by someone at Apple that this feature will only work with newer Macs that have the built in ‘low-power’ bluetooth feature. I hate when Apple does this kind of thing. Their products are too expensive to be so restrictive. This OS where do I start. The features listed is like, meh I don’t need that. I need the basic experience to work. I don’t want to spend my time talking with a silly stupid program (Siri) so I turned it off. The touch bar is cool and all but I almost never look down at it. Typing suggestions is just silly because it cannot keep up and barely manage to list a single letter when I type. It’s ok I take it for what it is, a fun gimmick. And I can’t change the theme to something cool because there are no options, the dock is not in 3d (it would be cool to at leat be able to switch to 3d but nooo you can’t do that) and it doesn’t automatically connect to wifi – even though I told it to do exactly just that. So I have to click it manually anyway. Sigh. 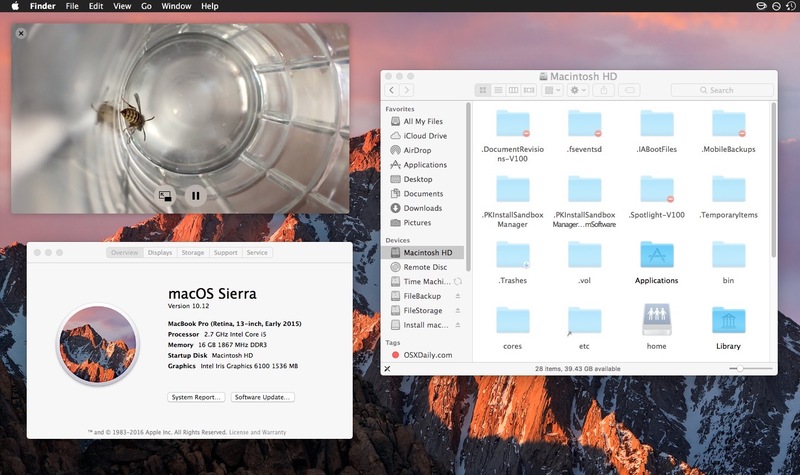 So where can I find cool themes for Sierra, not only choose between one flat color or graphite. How do I make the dock 3d, how do I get it to connect automatically I did the settings for it. The OS also look pretty weird when it boots up. The wallpaper when turning on the computer looks like 256 color BMP from I don’t know where, like windows 3.1, and the user avatar looks jaggy with ugly white borders. And why do I have to punch the code by hand at boot when the computer has touch id is it because I encrypted it. Well I don’t mind so much about that really but it feels weird first I have to punch the code then I have to put my finger on it to use the touch to login. What next. I would like to do three things maybe facial recognition also that would streamline my work flow. Don’t get me wrong I like the OS overall, but seriously, this is supposed to be the top notch, intuitive, pixel perfect, creative operating system and you cannot change themes and it looks far from pixel perfect and it is really not intuitive. Well I have only used it for a few hours so maybe I missed something. End of rant.